Click for Belgian eBay version in French language! The Kingdom of Belgium has three official languages, French, Dutch and German. Also, as the capital of the EU and an international country for commerce, study and European economics, many other languages are spoken too. Especially English. While there are somewhat more dutch speaking Flemish people than French natives living in the country, this largely depends on the area too. As for websites and online shopping sites, we can see the device slightly leaning towards the Dutch language. For example, if you browse to the eBay site in Belgium you will see Dutch at a more prominent position. But still, the amount of users of the French language is very significant on the American auctioning portal and e-commerce giant. This can create some confusion, but you’ll find the direct link above. 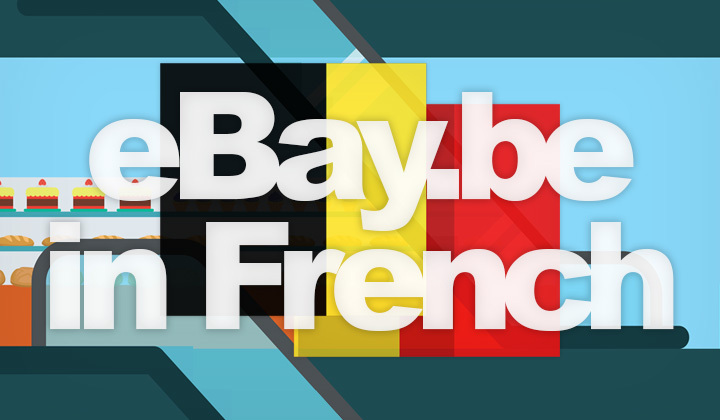 There are many popular online shopping sites in Belgium, all of which have both Dutch & French versions to serve both populations, such as Amazon, Coolblue, Bol.com, Zalando, MediaMarkt, Vente-Exclusive.com, Colruyt Group, Unigro, Vanden Borre, H&M and of course eBay itself is no exception here. Besides the direct link to the French version — you also have the option to change the language manually through the website. This is especially convenient when you need to quickly swap between Dutch & French versions for any reason. Step 2. Browse the website as usual. Step 3. Check the top menu bar to where it says either “Nederlands”, or “Français” and the Belgium flag. Click on that! Step 4. See the language selection menu and select Français for French. And please note that since eBay is an international shopping and auctioning portal, most likely the product descriptions are in English. With this method, you can browse the website interface, registration, purchase, support, guides, checkout and all other technical features of the website in French. Hope this helps and happy online shopping! Any questions about French language e-commerce in Belgium? Or about the eBay.be site and it’s functions…? Comments below. Lastly, I’d like to note my readers that some of the eBay related and other post on the blog may contain affiliate links. Not all, but whenever appropriate they are helpful in supporting my work and providing useful content. Huge thank you for visiting my blog! David.